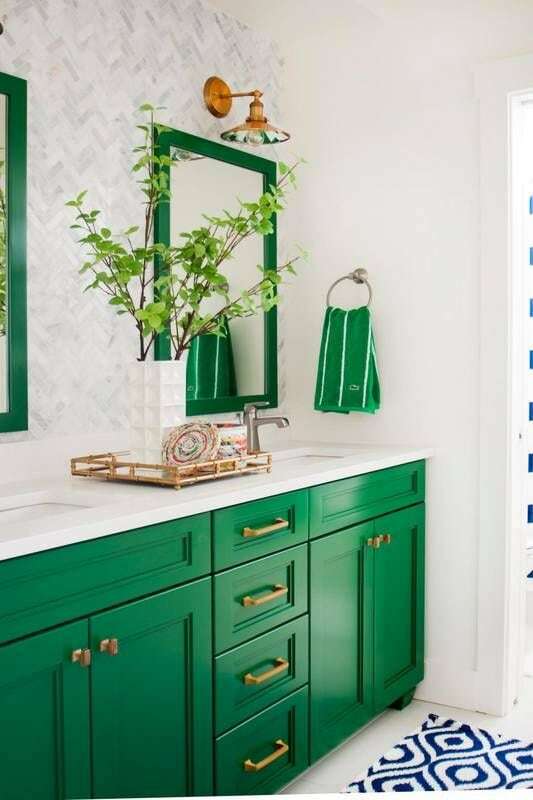 Bold colors can be used to highlight a specific part of any room. People generally default the word “stylish” to using neutral colors. 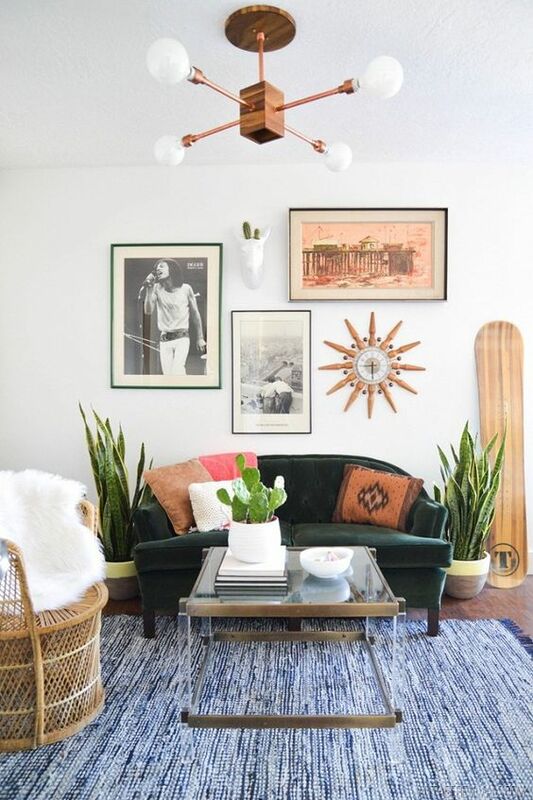 Spice it up a little and use contrasting colors. Wood in general is making a massive comeback this year. It doesn’t have to just be furniture, though. 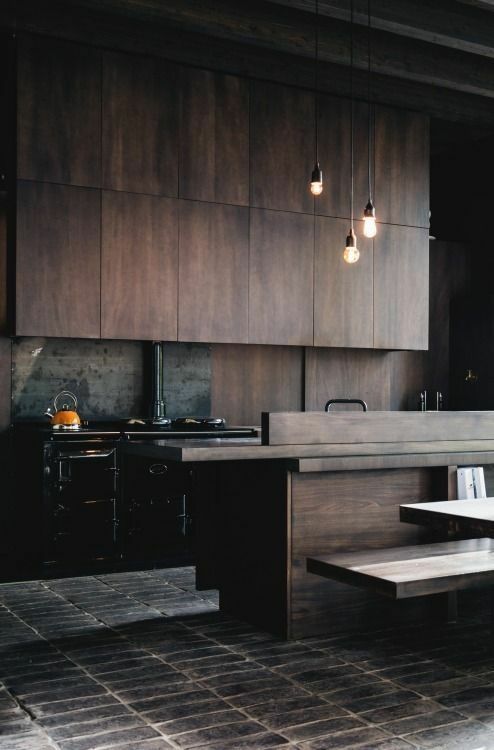 You can use dark wood for floors, cabinets, paneling, or even your garage door. Light colored wood is boring, join the dark side. Textures are everything. 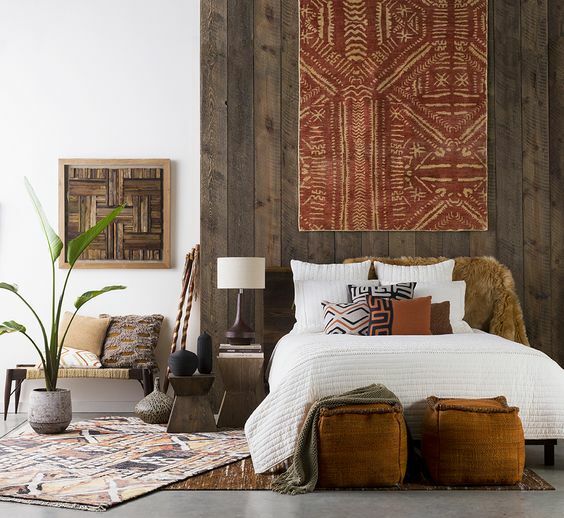 The artisan interior design trends have been around for a few years, and is often mistaken for Bohemian. While bohemian is nice, artisan is more focused on handmade design. It can be incorporated in many different ways and, because of the handmade factor, can be very unique even within its own style. Everybody likes to go to tropical and far off places. 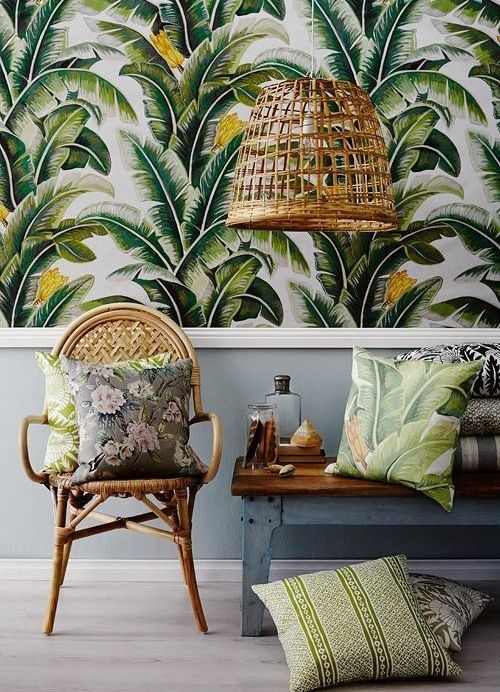 Using a tropical print is by far one of the best and most unique interior design trends of 2018 so far. Even if it’s just a pillow or the wallpaper in the bathroom, you can use these prints to take you to an island paradise. Traveling is by far one of the best influencers of design. It isn’t anything new, but it certainly has taken off over the past year, and we want to see it keep going! However, it doesn’t necessarily have to be themed around a country. You can take inspiration from any region or place in the universe. Take, for example, this desert themed room. There aren’t rattlesnakes slithering around or tumbleweeds blowing about, nor is there a single grain of sand in sight. You can easily understand the western american desert theme just by a few design ques, and it’s marvelous. It just goes to show that design isn’t about overthinking and spending hours or days on a project, it just takes a creative mind and a passion. There are many ways to express yourself within your own home. All of the interior design trends listed above can be adapted to fit your own style if needed. We hope that we inspired you to not only try new designs, but remain true to yourself. Step outside of the box a little and maybe start a new trend of your own!